Kim Devin has been the Office Administrator for the Charlotte office of Cranfill Sumner & Hartzog since 2007. She manages the Charlotte staff and is responsible for daily operations including but not limited to human resources, accounting/billing, facilities management, event planning, charitable donations and marketing. Kim also serves on the firm’s Diversity & Inclusion Committee. Kim is originally from Indiana and has a bachelor’s degree in Counseling/Psychology from Indiana University in Bloomington. In addition, she completed a Human Resources program at Indiana University in Indianapolis. 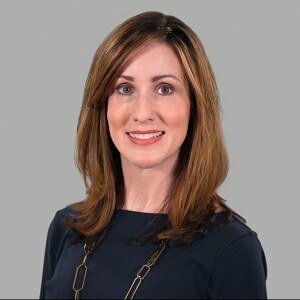 Prior to joining the firm, Kim worked in human resources management at LendingTree and SunTrust. Kim serves on the planning committee for the March of Dimes, Charlotte chapter, and she is a member of the local and national Association of Legal Administrators. Kim and her husband have twins, and they enjoy family ski and beach vacations.